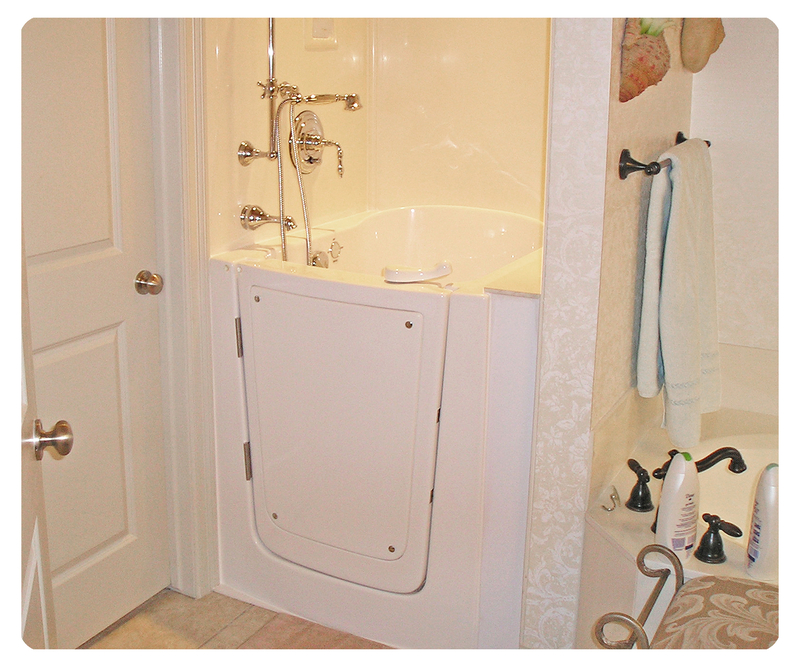 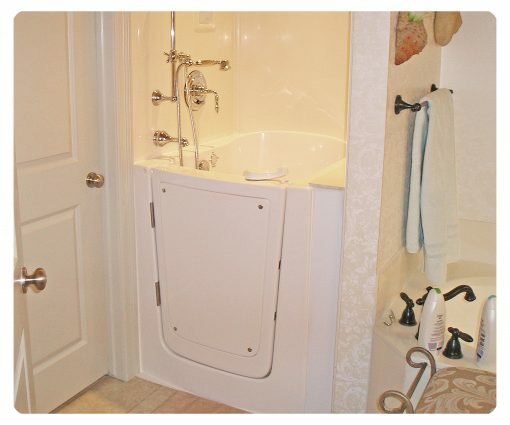 Bliss Tubs’ Model B3237 Space-Saving Walk-in Tub was initially designed to be installed in rooms with limited space, such as a 36-inch by 36-inch or wider shower stall. 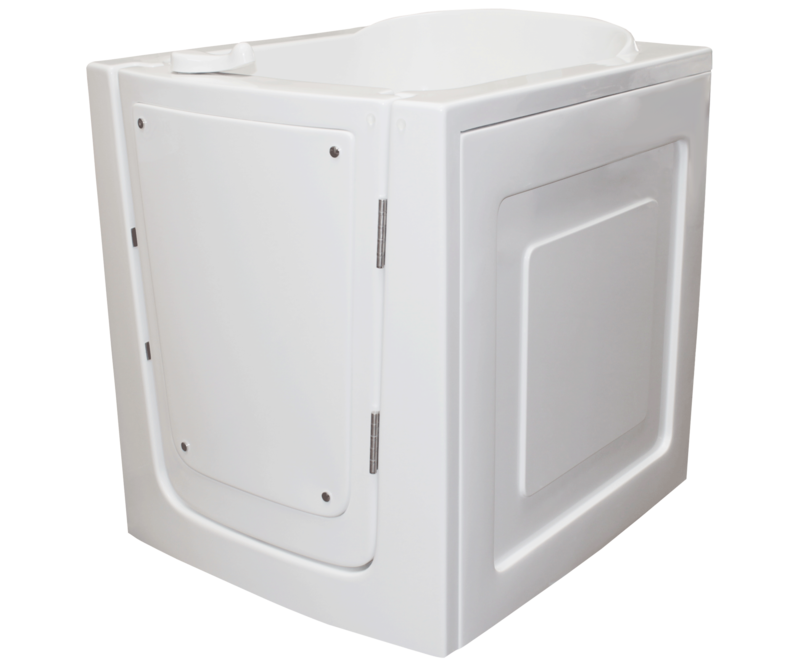 Creative installers have also placed this model in areas outside the bathroom, such as a laundry room, kitchen or garage. 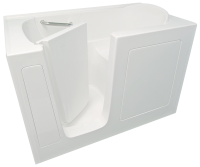 The B3237 Walk-in Tub also features a seat that faces out toward an outward-swinging door and is typically installed with a wall-mounted faucet and slide bar set. 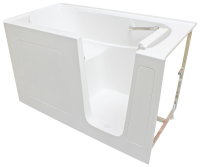 Elegant matching gel-coated panels are available for the tub sides which can effectively transform the unit into a free-standing module for non-standard installations. 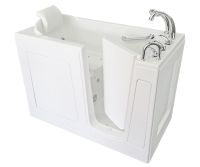 This tub is only recommended for those of smaller stature and when space is a limiting factor. 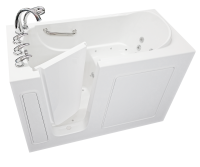 Despite its compact size, this tub can include any of our therapy systems so you can enjoy a superb and practical bathing experience.